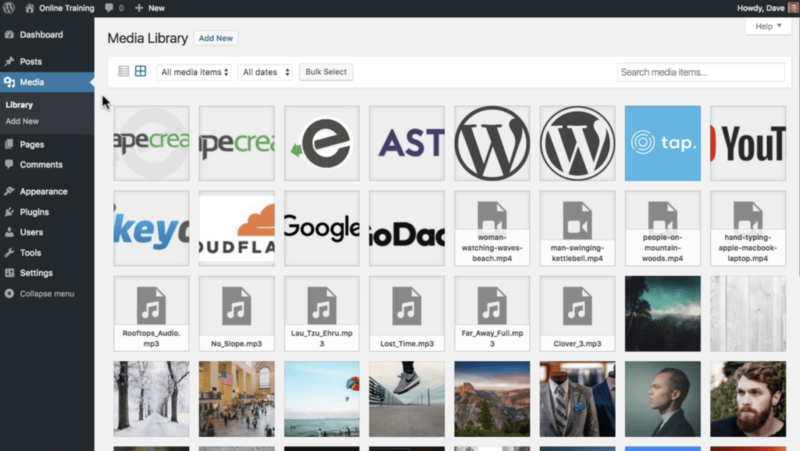 A basic overview of the WordPress Media Library, followed by detailed examples of each type of image edit that can be made within WordPress. 16+ minutes of video instruction spread out across 10 different lessons. Every lesson contains a video, as well as complimentary text. Price is listed in USD. Course may or may not receive updates. New content is added at the sole discretion of the course creator. For online courses, we typically do not offer refunds. However, if you truly feel as though you didn’t get what you paid for, let’s talk. There is none. With our online courses, you pay once and can access the content forever. Fantastic! Asking questions is one of the best ways to further your skills. Send us an email and we’ll help you out. Do you teach classes face-to-face? I LOVE teaching small groups & individuals how to use WordPress. If you live or work in Colorado near the Denver/Boulder area, there’s a really good chance we can work something out. I’m not currently touring the country, but if you have it in your budget to fly me to your location 😀, let’s talk!